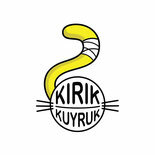 To promote myself and the great city of Istanbul. Since 1997 I live in this pulsating metropole and it hasn´t been the frist time. Still I will add a few videos in the gallery section to give an general impression of what I do and why my family has a history of 140 years Family in Istanbul. I hope you enjoy some details! Since almost a year, my fiancee and I are trying to set up a voluntary Portal for all the lovely people that are helping in many different ways an amazingly high number of street animals. Soon we will launch a "social crowd funding" campaign. Would be great if you support us. 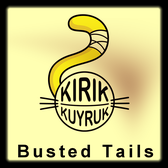 We called it 'Kırık Kuyruk' which in fact means "broken tails". Copyright by Christian Feiland No part of the texts, media or any other elemant of this site may be published or forwarded (no matter if commercial or non-commerial usage) without written permission.